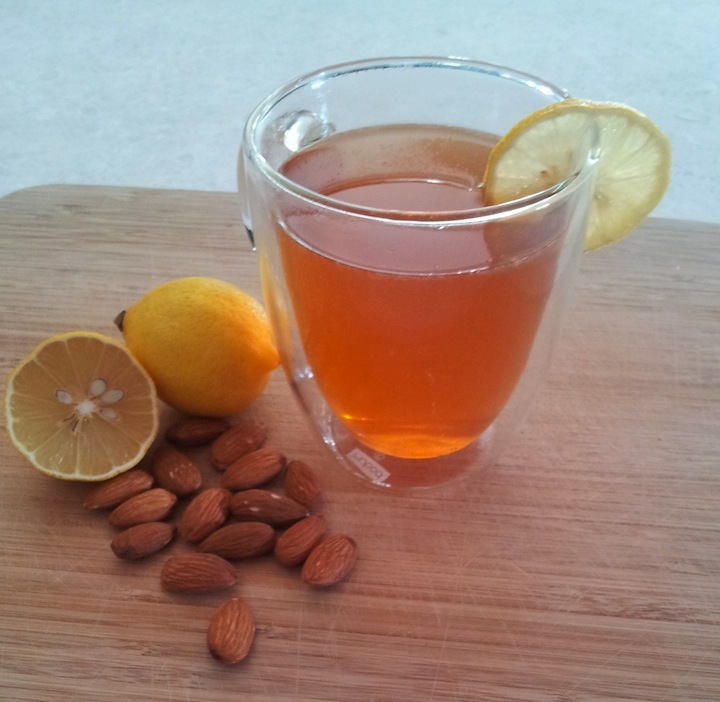 For a new spin on classic English Breakfast Tea, try our recipe for Lemon Almond Black Tea. With fresh lemon juice and hints of almond, this beverage is a delicious way to start your day. In your Capresso teaC100, fill kettle with 16 oz. water (to the minimum fill line). Place kettle on Power Base and plug cord into wall outlet. Turn dial to Black Tea setting (212° F) and press the On/Off button to begin boiling water. When the heater and lights turn off, remove kettle and pour 8 oz. of water into each cup and replace kettle. Steep one teabag in each cup for 4-6 minutes, to desired taste. Remove teabags and add juice of ½ small lemon and ½ tsp. pure almond extract into each cup. Stir and garnish with lemon slice.